It got more interesting when the two got a hold of white-out and pens, and each of them started insulting himself. Cartoonists toil over the smallest details. 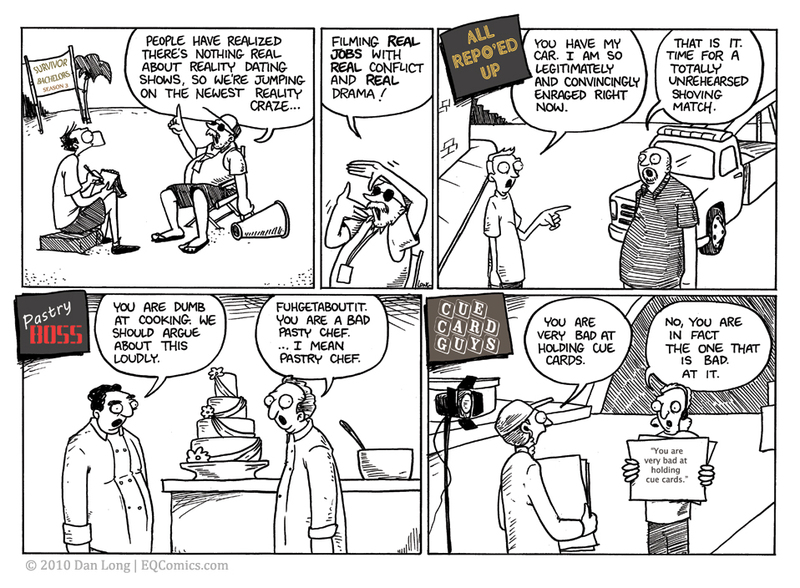 In the original, I drew the guy in the “All Repo’ed Up” panel pointing lazily at the big guy. However, I felt even that added too much “sincerity” to the bad acting, so I erased it. See the original here. What do you think? I had them side-by-side for about twenty minutes trying to decide. I liked the arm- the way it looked- but I don’t think it helped the panel so I erased it. Sorry, fictional person who has only one arm now.